Hello, Sunshine! It’s that time of year again, when mamas panic over getting their holiday cards created and mailed. I don’t know about you, but I’m thinking about how I’m going to dress the kids for their pictures, where I’m going to take them, and then decide if I’m brave enough to try to get all three to look at me at the same time. Yeah, that’s probably not going to happen. We buy a lot of cards for all of our friends and family and it’s nice that as an added bonus to 10% off Holiday premium card orders, you can get 10 free holiday cards from Tiny Prints now through November 12 with promo code 10FREECARDS or get 25% OFF sitewide plus free shipping with promo code TPSAVE25FS. This card is so fancy and I love it! I never had the dream bachelorette pad, but if I did it would probably be fancy like this card. What’s there not to love about it? I adore the gold foil backing, the sharpie merry, and of course, the gold foil heart. And the shape is so darling. No matter what holiday you celebrate this season, this card encourages your receiver to make the most of it. We have friends of all different faiths and I want all of our friends to know that we love them and appreciate them. This is a great card to send to your friends and family of all beliefs and I like the modern look of it too. Everyday I count my blessings and I’m truly grateful for my healthy children. In the grand scheme of things that’s all that really matters anyway, right? I think the simple message of blessed is perfect for this time of year. We’re blessed to have food on the table, clothes on our back, a roof over our head and a lot of people who love us. 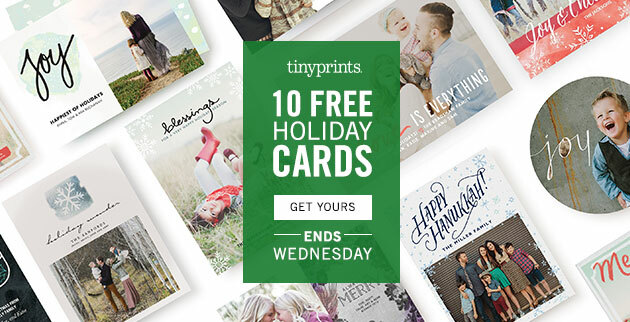 Remember, the 10 free holiday cards from Tiny Prints is now through November 12 with promo code 10FREECARDS. 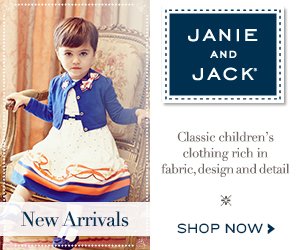 Do you send out holiday cards every year? Do you like one picture or several to look at? Yikes, I love that you chose Blessed and I totally agree with what you said about counting your blessings 🙂 Tiny Prints sounds awesome, I definitely need to check them out, thanks for sharing Chastity and hope you have a wonderful weekend! I need to get on the this! Last year we sent out a virtual card because of the move, this year I want to get professional pictures done. We shall see if that happens, it’s about time we took an updated family photo.